At first glance, the new Profoto Connect is a small and lightweight wireless trigger that can control the Profoto AirTTL lights either in manual or auto mode. The trigger has a three-way rotating switch on it, and the flash settings can be controlled on the manual mode via smart connectivity with the Profoto app. The auto mode allows shooting with automatic flash power. This tiny device comes with a rechargeable, built-in lithium polymer battery that lasts up to 30 hours. Profoto Connect supports all major Profoto Air features, including the TTL and High-Speed Sync (HSS) modes. 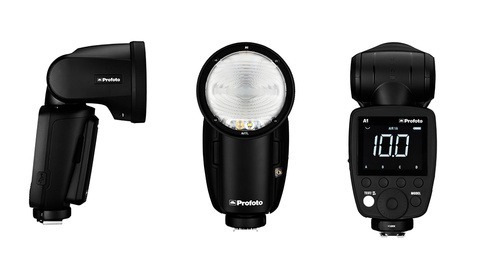 The device’s firmware can be upgraded via Bluetooth by using the Profoto app. However, the Profoto app is only available for iPhone 7 and newer models running on iOS 11 and later. Profoto Connect is currently available for Canon, Nikon, Sony, Fujifilm, and Olympus cameras and compatible with most of the recent camera models. Unfortunately, Profoto didn’t introduce product variants that support Pentax, Hasselblad, Leica, Panasonic, or Phase One camera systems. You can check the detailed camera compatibility on the product page. The retail price of Profoto Connect is $299 USD. I just bought into ProFoto after reading Lee blab on about it and costing me money damn you Lee you.. Anyway, Love the B10. Not got the foggiest idea why they brought this thing out. Seems a bit of a fuss to smartphone adjust things rather than just go with the Air Remote. Will look into it anyway as I'll be working with Profoto Belux soon. Aren't they made for different purposes? Like, Godox is supposed to be more affordable, whereas ProFoto is supposed to be very innovative and somewhat pricey. I bought a Godox V860 because it was cheap, and effective for its price, not because it was the most innovative one in the world. Everything has its place, no? The thing is, the Godox V860II is a better flashes than the Nikon SB-910 (and definitely the SB-900). Being cheap does not make them second rate. They are built well and perform VERY well. I bought them because they do exactly everything the Nikon strobes did and much better (built in radio, Li-Ion battery, knob free swivel head). A case of more appearance than substance. I like the form factor, but why the heck would I want to have to connect a smartphone to adjust settings when I could just do it on the remote previously. Major face palm. Just tell me when the Godox knock-off will be available. This is pretty dysfunctional, not sure if Godox would copy it. If anything they may design a compact unit with all the controls on it, which is what you really need. why would godox make such garbage? "Because when you remove all the buttons and complexity, you have more room to be creative and focus on getting the shot you want. Audrey Woulard, originally a natural-light shooter, had tried flash in the past but thought it was too complex and only slowed her down." Plenty of people pissed about it because they miss the point of the device. It's not meant to be a replacement for the other remotes made by Profoto. It's made to try and win over the momtographers who are afraid of using flash when they're doing lifestyle portraits outside. Removing all buttons make it seem simple and easy to use. 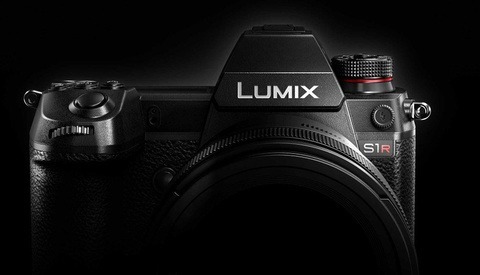 This is a huge market segment, I would probably say the biggest in photography world today. Of course, to pro photographers who understand how flash works, it's a laughable idea. I assume you will also need one of their really "affordable" speed light, right? 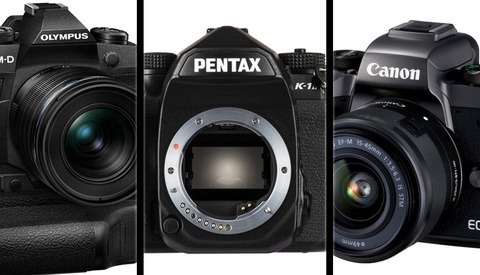 What mom will spend a minimum of $1,300 on a flash and trigger? Well, Profoto seems to be banking on that. People can shell out a bunch of money when they think something can simplify their life (and their business). «“…You have more room to be creative and focus on getting the shot you want. I think those sentences contradict each other. When I was a young photographer, I, too, was a natural-light shooter. I found a strobe made me more creative and allowed me to get the shot I wanted. On a bright day on the beach, I would have my Sunpak Auto 555 Thyristor with me (back when Sunpak was a respectable name in flashguns). Paul C. Buff has had this for years. The little trigger that Buff has costs only $79.00, and it is just perfect. I keep my Cyber Commander in my pocket, so I can use the built in light meter or adjust settings without having to run back to the tripod. Once one learns how to use the Cyber Commander, well I don’t know, it’s just easy and fast. Boy, I gotta say Paul C. Buff equipment is totally, totally underrated. I can’t believe their stuff is so good, at that affordable price. I don't think this is comparable. The main selling point of this device is that it's "automatic" (TTL). Paul C. Buff has never done TTL to date. Maybe it's comparable on the form factor, it's tiny. How can PCB have this device when none of their lights have TTL or internal receiver? This one is really a head-scratcher. Profoto keeps straying farther and farther from their roots. EDIT: I'm impressed with how many down votes and criticism their YouTube videos are getting. Honestly their branding/marketing jargon is really disingenuous. "Natural Looking Light" No, thats called TTL. Look up their promo's on the Connect and Audrey Woulard, I dont see how this doesn't hurt their brand. Look at how we took a natural light photographer and had her use Our Profoto natural light trigger to make these natural looking photos. The photos are quite hilarious. If you have profotos that dont support the app you get them working with the app. Great for studio control. I know I'm an old fart, but I'm just not that anxious to control EVERYthing through my phone. The proprietary nature of it. Just like how Profoto used to have built in Pocket Wizard receivers in their packs. Then they abandoned that when they rolled out their own radio triggers. Would they support Pocket Wizard, Profoto, Elinchrome, ect. Then you'd get into issues of limited range from the antenna being inside the alloy body, instead of up extending away from the camera. I'm surprise a flash communication standard has never been proposed by the photographic industry. Typical tech corporate behaviour, it's plagued IT since the beginning. I wonder if some smart people could build a multi-platform trigger. Actually Phase One XF bodies have Profoto Air built right in. The Previous DF and DF+ Bodies had it build into their optional hand grips. Yeah....don't get it. I mean, it's cute and all, but if you wanted a full auto mode, why not just add that functionality to the remotes that already exist? Its like making a 5D Mark IV with only P Mode. Now not only can I look like a complete knob on photoshoots I can play with one too!